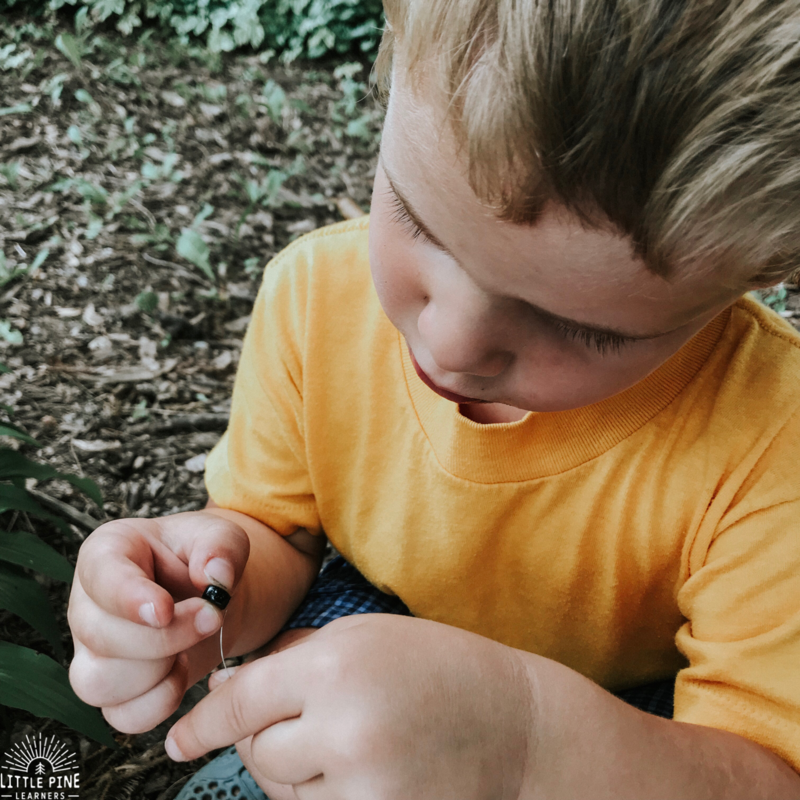 Summer is in full swing and we have been observing insects everywhere we go! 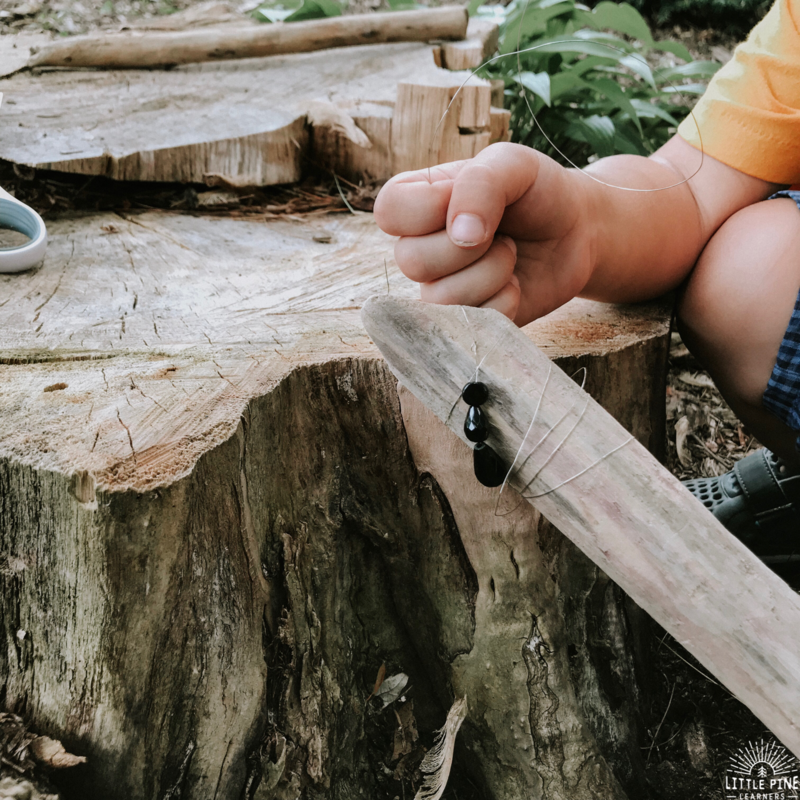 This morning we saw several insects on a log at the beach and this idea was born. 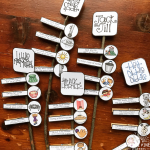 With a few supplies, you can make this work of art that looks great in a garden or anywhere else in your yard that needs a cute decoration. A piece of nature to wrap and draw on. We used a large stick. We spent the morning at the beach. 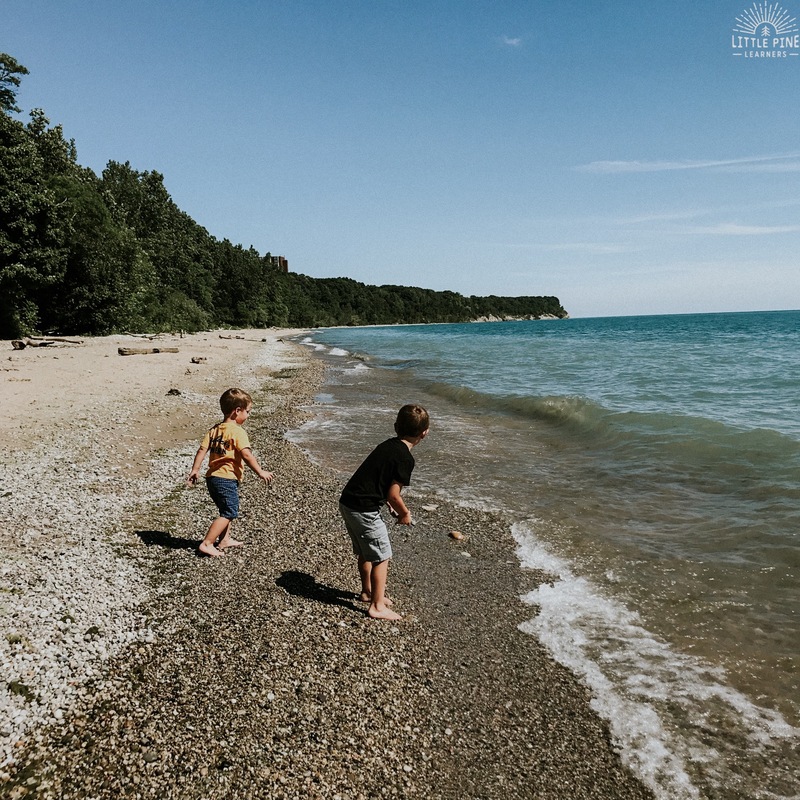 My boys had so much fun throwing rocks into the lake and exploring the shore. We found beautiful colored rocks, sea glass, and observed insects on logs and driftwood! We identified ladybugs, ants, and bees. 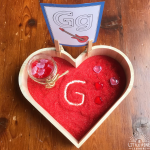 I knew exactly what I wanted to create with my boys when we got home! 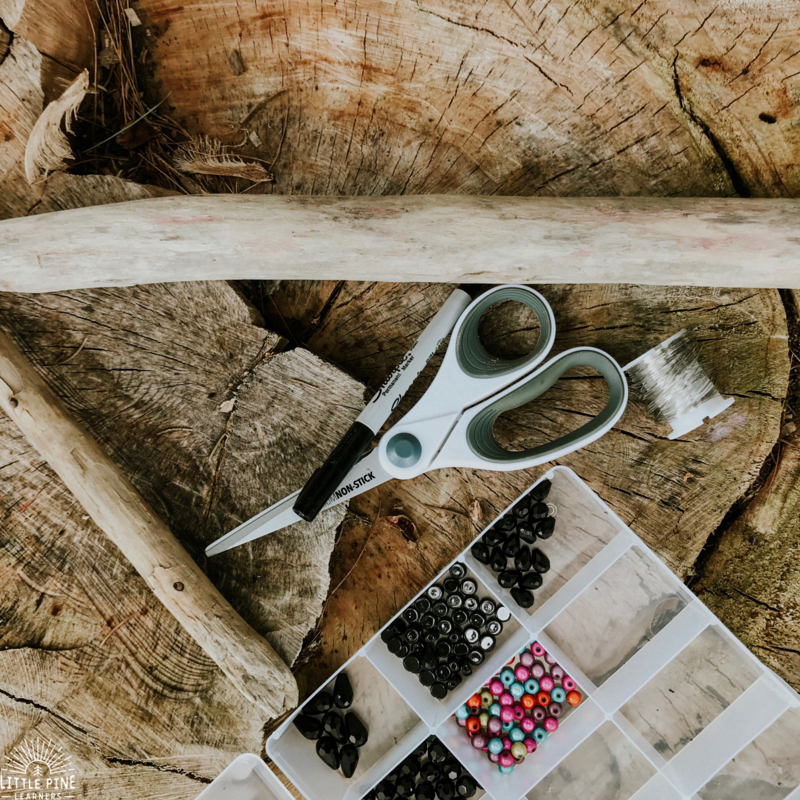 Grab your scissors, wire, beads, Sharpies, and piece of nature! 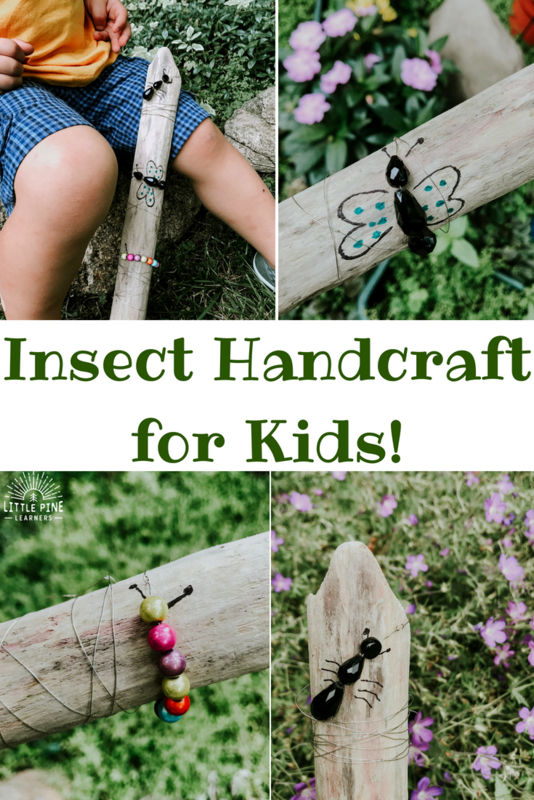 Once you decide on the insects you want to create, you might want to look them up in an anatomy book so you can choose beads that resemble the parts of the insects you are making. As you can see below, we used a variety of colors, shapes, and sizes to make our insects. Also, make sure you choose a piece of nature that you can draw on! I cut about two and a half feet of wire per bug. I tied a knot in the middle of the wire to keep the beads in place. Leo helped me string the beads on the wire. After the beads were on the string, tie another knot at the other end of the beads. It’s a good idea to draw the insect details before you wrap the wire because the wire will most likely be in your drawing space after the wire is wrapped. I held the beaded wire in the spot I wanted to wrap it and Leo helped draw the antenna and legs. I drew the butterfly wings because that was too difficult for him. Leo helped me wrap the wire around the stick, but I needed to tighten it up move it back in place so it lined up with the drawings. 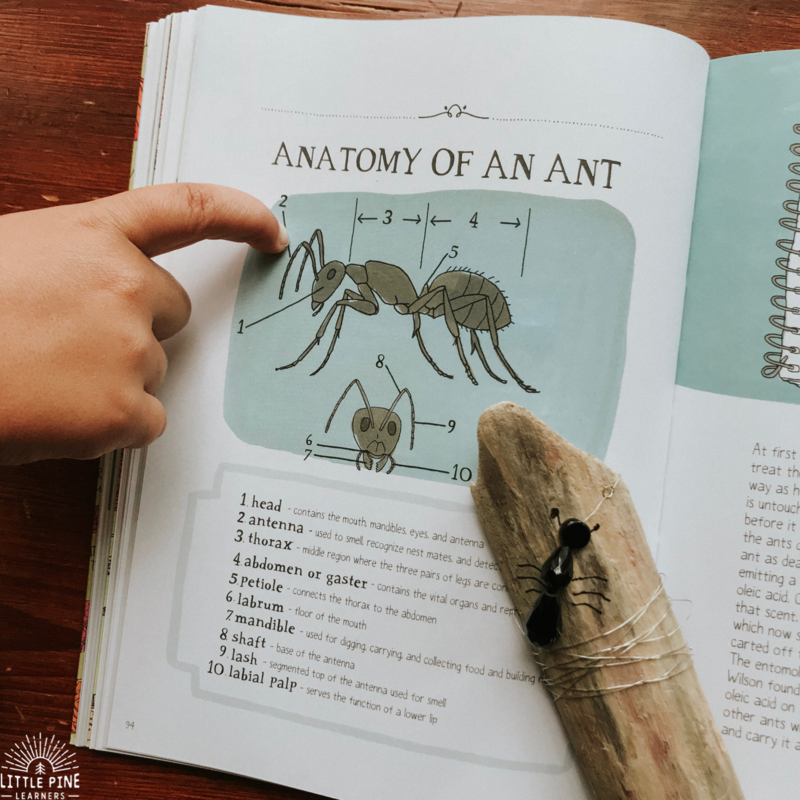 When we were finished, we compared our ant and butterfly to the insects in the book Nature Anatomy! 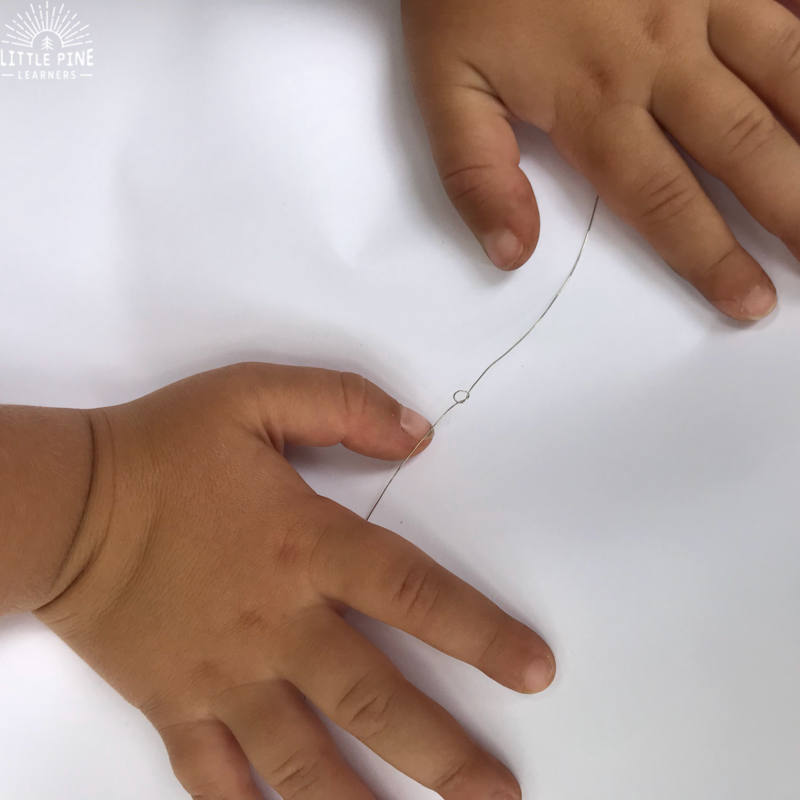 Putting the beads on the wire helps improve hand eye coordination and holding/pulling the wire helps strengthen hand muscles. 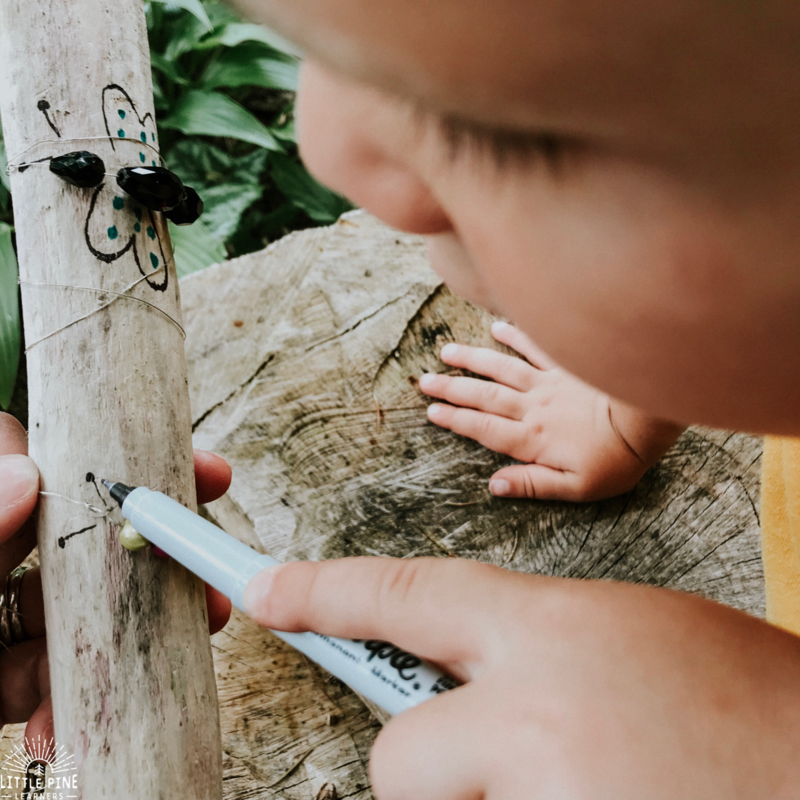 Observing insects gives children the opportunity to work on insect identification skills. 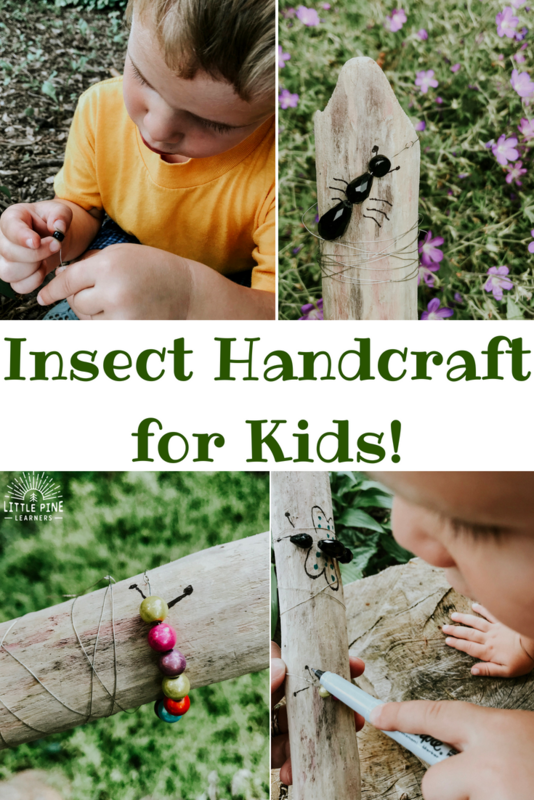 Making the insect craft helps them learn the basic parts of the insects. Need more outdoor fun?! 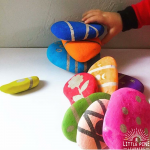 Check out A Simple and Beautiful Nature Craft to Try Today! « Our Favorite Seasonal Nature Activity!